Biotherm Skin Oxygen Restoring Overnight Care Replumping Purifying Night Care is a night care suitable for all skins types which replumps and purifies the skin. 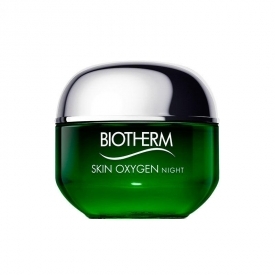 This overnight care is enriched with Chlorella Algae, known for its detoxifying powers and hyaluronic acid. As soon as it is applied, it melts in contact with the skin in order to moisturize it intensely and thus help it recover visible damage from everyday life. After one night, your skin is luminous and moisturized. After 7 nights of application, your skin is visibly replumped, smoothed and restored, it is stronger and more resistant against the external aggressions. Apply a fine layer on the cleansed skin and massage gently to melt the plumping beads using circular movements. Use regularly every evening. Aqua, Glycerin, Propylene Glycol, Hydroxyethyl Urea, Dimethicone, Triethanolamine, Carbomer, Squalane, Hydroxyethylpiperazine Ethane Sulfonic Acid, Calcium Chloride, Dimethiconol, Sodium Chloride, Sodium Citrate, Sodium Hyaluronate, Sodium Phosphate, Algin, Cellulose Acetate Butyrate, Chlorella Vulgaris Extract, Ammonium Polyacryloyldimethyl Taurate, Agar, Spirulina Platensis Extract, Caprylyl Glycol, Vitreoscilla Ferment, Citric Acid, Trisodium Ethylenediamine Disuccinate, Dextrin, Polyphosphorylcholine Glycol Acrylate, Polyvinyl Alcohol, Butylene Glycol, Tocopherol, Phenoxyethanol, Chlorphenesin, Caramel, Ci 19140, Ci 42090, Linalool, Geraniol, Citral, Fragrance (F.I.l. C220173/1). 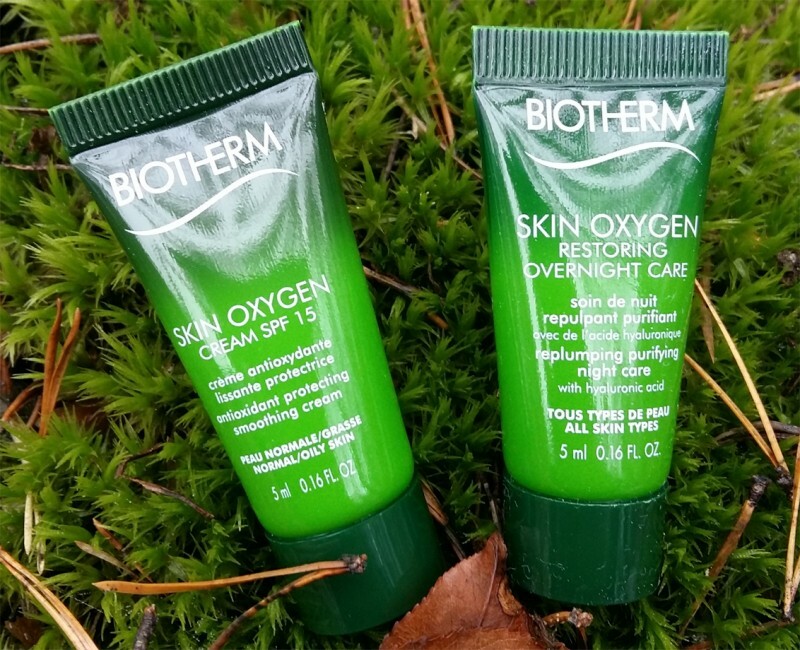 Biotherm Skin Oxygen Restoring Overnight Care Replumping Purifying Night Care is a good tool to combat skin fatigue signs. Its texture is very light and does not clog pores. The gel absorbs quickly leaving no trace, I use it half an hour before sleep and the result is almost instantaneous - the skin feels plump and velvety to the touch. The cream gel is a great moisturizer and it does not smell too algae-ish as similar products from the line. The cream, however, contains dimethicone, that in the long run will do more harm than good by drying the skin. That is why I recommend using this product as an emergency measure occasionally when the skin needs an extra 'sip of moisture' and good looks in the morning.